I know that all I have posted lately is contests, and I promise to do some different posts soon. But for now it is Friday, so let's have a contest! I will post the name of the winner here, so be sure to check back in the morning to see if you won. What is the one thing you love most about crochet? It gives me a sense of pride nothing else does....I never get tired of it. I can crochet anytime, anywhere and for any reason, and I do! I love to crochet. The colors, the textures, the variety of patterns. I love everything about it! It relaxes me & the end product is something that could quite possibly become an heirloom! It is very relaxing to me to crochet, particularly with thread. I love finishing a doily, blocking it, and standing back to admire the finished product! I can take my project with me where ever I go . It's relaxing to get lost in the counting and its amazing what comes from all of the counting in the end! I find crocheting very relaxing and love to see the completed project. I am unable to work, so this really passes the time. I love its beauty and endurance. 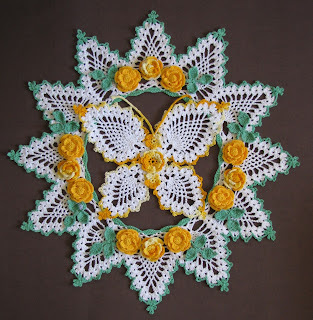 Things my grandmother made are being used by her great-great grandchildren! 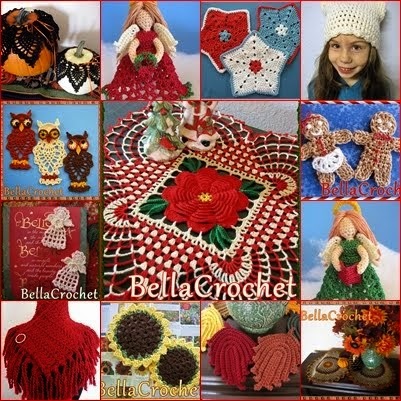 I like crocheting because so many beautiful things can be made and given as a gift of love for someone you love or just to give something to someone just to show you care. Last but not least something you made for yourself that you just love snd sdmire and to see or hear the reactions of others. 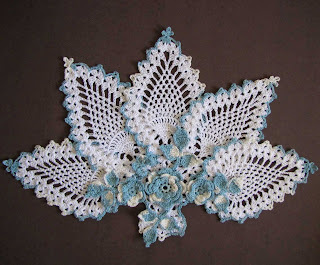 Crocheting is a beautiful gift from God!! I love being able to create something from what looks like nothing. 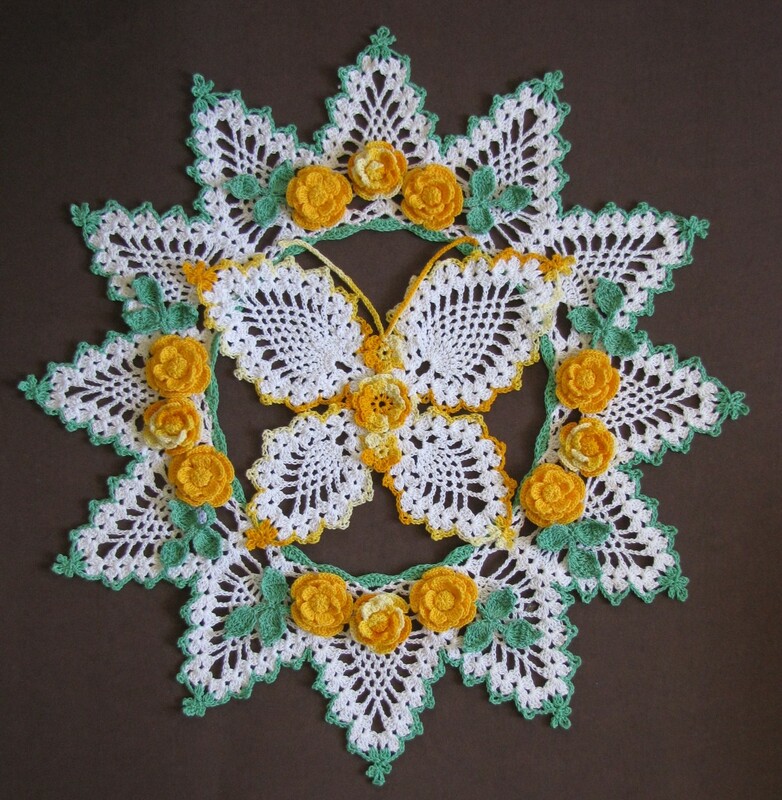 Crochet is my relief and my relaxation, I am handicapped and unable to walk and my crocheting is my ability to "walk" in my mind. I love it and enjoying seeing just a simple ball of yarn or thread turn into something pretty maybe even beautiful! I love the textures and what anyone can do with yarn and a hook! 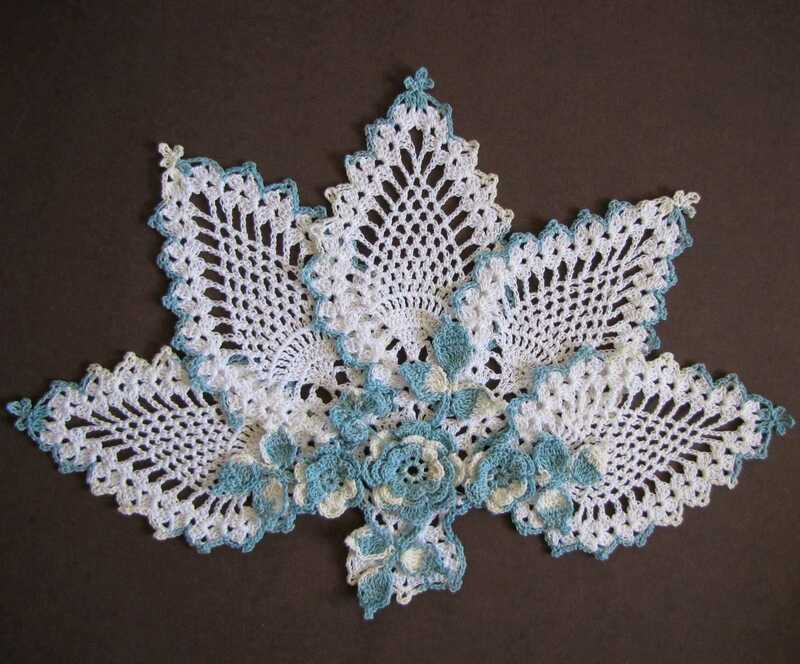 a crocheted item has the taste of the past, of what is ancient and precious and rare and unique. 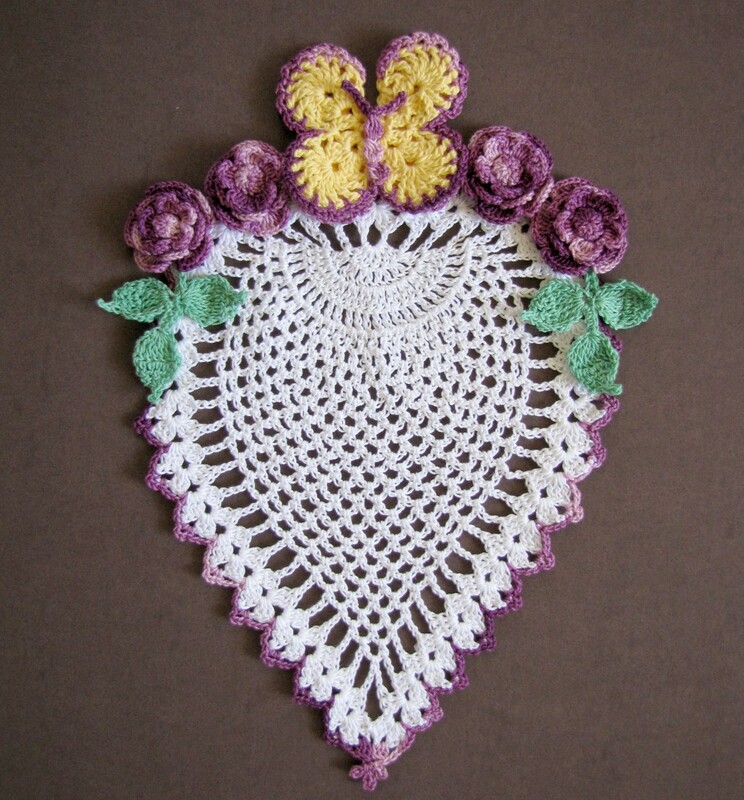 I love to crochet because I see it as honoring my grandmother. turning lifeless bits of string into an object filled with beauty and love...gives me great joy! Crocheting is a relaxing a way to do something creative at any time, in any place. You have something to show for your time. Crocheting helps me to be at peace. It is very relaxing and at he same time you can make something beautiful and/or helpful to others. You can make something ultilitary or something with lots of beauty to it. There is so many things that are wonderful about crochetig. I like to create something new and unique. It is a kind of art for me. looking at the finished project!!! 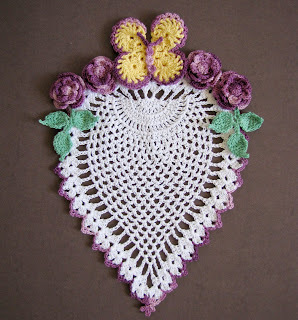 I put it somewhere I can see it during the day and just go "wow"
I love to crochet as the rhythm of the hook is very relaxing & the end results are beautiful. Love being able to take your project whenever you go somewhere. I love the sense of accomplishment I feel after finishing a project. I have something to show for the time I spent crocheting. I love crocheting because it is very relaxing to me during my quiet time. I love the history behind it and it makes me feel closer to my ancestors.